Michael was a superstar in the rec league at age ten. Every time he pitched, it was an automatic win. Why? He had excellent velocity for a ten year old and the players on the other team were afraid of being hit by his pitches. But it wasn’t just the speed they were afraid of. More so, it was because Michael’s control wasn’t exactly spot on, so their reaction was to wildly swing and miss. This is the nature of youth sports: It’s possible to have success with undeveloped skills. Fast forward to high school….. Expecting success as an undeveloped player in high school is unrealistic. At this level of play, a coach can’t afford to have a flame-throwing pitcher on the mound with no control. In highly competitive environments, coaches have no choice but to select players with the skills, attitude and work ethic to do the job, otherwise they will not be able to compete. Parents often make judgments based on their emotions. Coaches make judgments and decisions based on their experience and expertise. Conflicts arise between parents and coaches for various reasons, but high on the list is lack of playing time. Everyone wants their young athletes to be on the field instead of on the bench. So, how to best accomplish that? The process of understanding competitiveness should begin at the earliest non-competitive stages of youth sports. By being informed about the pathway to future success, parents will have a better understanding and respect for decisions a coach has to make. By teaching their kids to focus on their own efforts, parents and players will also be better prepared to handle any situations that might seem unfair, realizing what they can control, and what they can’t. Parents whose kids had superficial success early on like Michael, are going to be disappointed if they fail to recognize this simple truth: Their child’s early success was not based on the development of sustainable skills over many years. It was feel-good success based on the unbalanced nature of the early developmental stages of youth sports. Those who put forth more effort over a period of time will have the best chance for success in sports, and life. Consider this: Instead of being concerned about making someone else’s team, what are the requirements to make your own team? In other words, what are you content with when it comes to the amount of effort you are willing to put forth to reach your goals? The measure of a person’s success lies in the answer to that question. If you’re satisfied with an average or below average effort from yourself, you likely will not succeed in a competitive atmosphere. Most coaches and programs have in place a set of standards for players and parents to follow regarding playing time, coaching philosophy and practice rules. But no amount of well-considered guidelines is going to make sense to a parent who expects success for their unprepared child. They are more likely to complain, make excuses and blame others. Before reaching high school, youth sports will have offered ten years of preparation for parents and players to learn about sportsmanship, attitude, effort, having fun and developing skill. 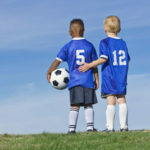 Whether they make the high school team or not, by applying these life lessons kids will be on an enlightening journey that will prepare them for their future. Additionally, by pursuing this honest path instead of seeking shortcuts, parents will become more open-minded and their relationship with coaches will be one of cooperation instead of antagonism. Michael had a natural ability to throw the ball hard, but was never taught about proper pitching mechanics. Consequently, by the time he tried out for the high school team, the coach had no choice but to not select him because his baseball skills were undeveloped. It’s that simple. If your young athlete’s goal is to play sports at a high level, think of it as a character building process. It includes a willingness and desire to learn, not only for your child, but for yourself. 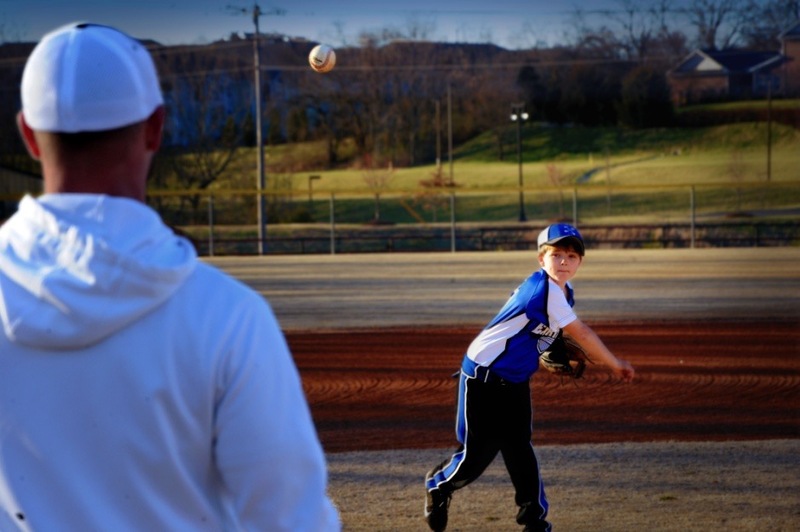 What if Your Coach Doesn’t Get Along with Your Young Athlete?